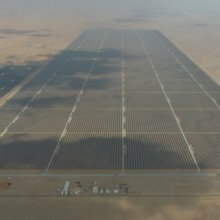 Arteche’s auxiliary relays and Arteche test blocks make up the protection system of the substation located in Seih Al Dahal, in Dubai, which connects the largest photovoltaic plant in the world, which will occupy a total of 16 square kilometers once finished, to the grid. TSK, the constructor, has entrusted Arteche with the provision of the auxiliary protective equipment of the 132/33kV substation. The second phase of the project that has just been started has 200 MW of power, sufficient to provide power to 50,000 homes and avoid the emission of 200,000 metric tons of carbon into the atmosphere.